to discuss your Flood Prevention Measures so you don’t have cause for regret. WHERE you need them and WHEN you need them! 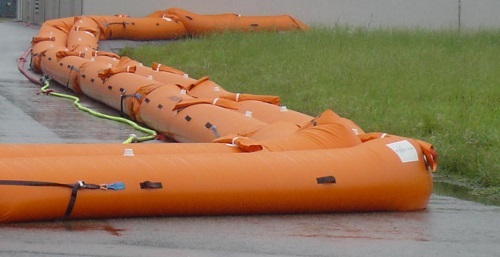 Suitable for use by councils, industrial areas, businesses and for domestic flood barriers, especially where homes, businesses and roads are at risk of repeat flooding. Storms and floods cause damage which runs into millions. The economic costs place an enormous strain on land and home-owners, businesses, insurance companies, public authorities etc. and therefore eventually on the taxpayer. Together with the distress to victims, such events can grow into a natural disaster. 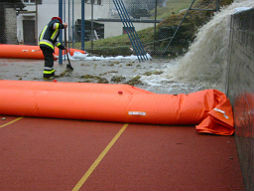 WHY CHOOSE INFLATABLE WATER-FILLED FLOOD BARRIERS? ∗ The portable tubewall flood barriers are FASTER, STRONGER and BETTER at preventing water seepage. These heavy-duty, water-filled flood barriers create a temporary dam to prevent flood damage. 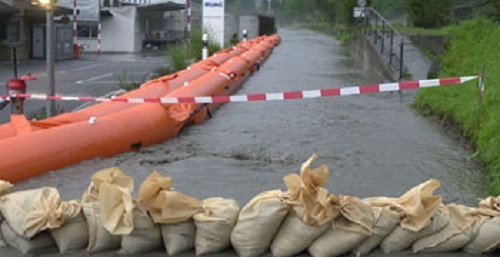 ∗ Water-filled flood barriers are quick and easy to set-up when you need a fast response to a potential flooding situation, and to remove when the risk of flooding has passed, which is significantly more efficient and effective in comparison to traditional sand bags. 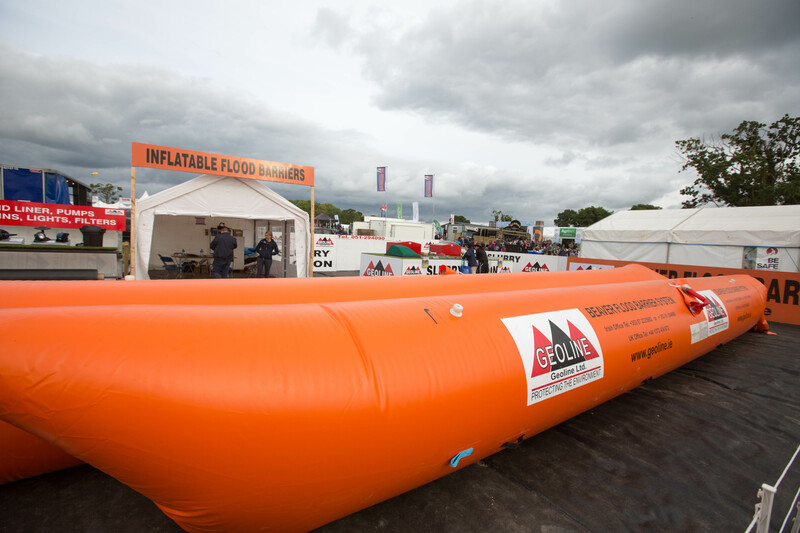 ∗ The water-filled inflatable flood barriers can be moved easily and quickly from one location to another as required, and are very fast to assemble wherever they are needed. ∗ The water-filled tubes have a patented system to join together, end to end, to create a single continuous dam that is as long as you need it to be. The special joint system prevents water leakage, and keeps the dam Water Tight!!! ∗ The temporary barriers are completely independent, and do not require any permanent or long-term extra structures or support. So when they are no longer needed they can be easily and quickly removed and stored safely until they are needed again. ∗ Furthermore, the Tubewall Flood Barriers from Geoline are reusable, so are a great investment in situations where the risk of repeat flood is high, year after year. 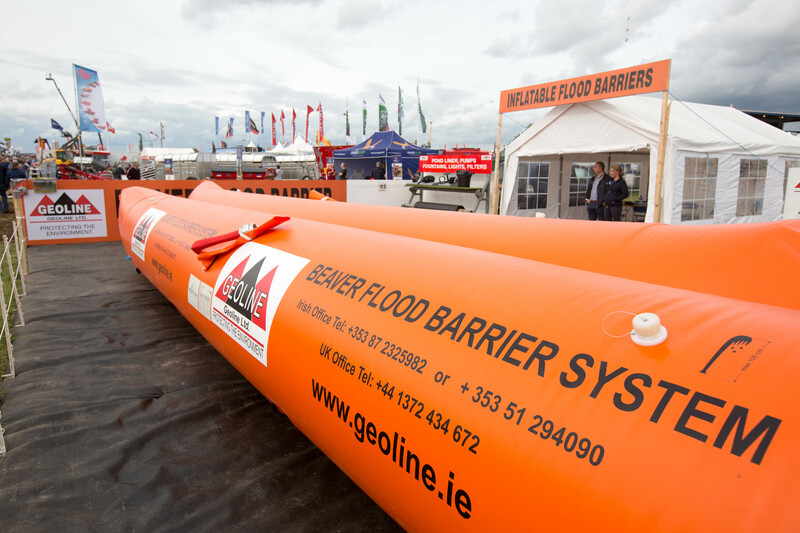 Beaver Water-Filled Inflatable Flood Barriers Now Available in Ireland from Geoline Ltd. The Beaver Flood Barriers prevent or at least reduce storm and flood damage to land, and buildings, and the associated economic costs. 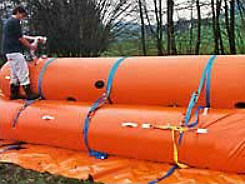 The Beaver Storm and Flood Protection System consists of two PVC tubes laid side by side, permanently joined together to form a twin element. The tubes are put in place, assembled and filled with water. 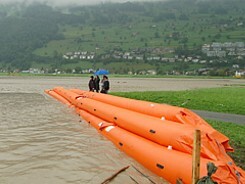 The weight of the water in the tubes creates a strong, solid wall to hold back the flood water. 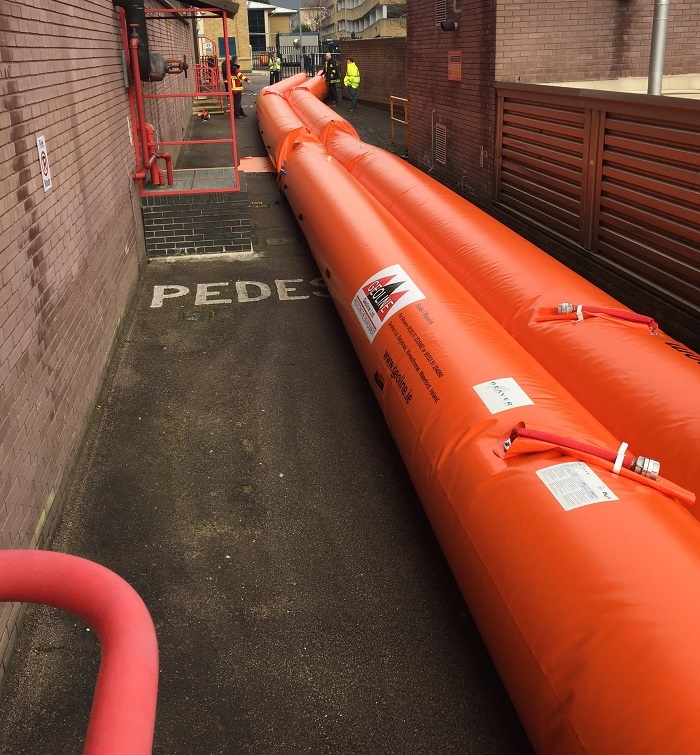 Tubes can be joined together end to end, to extend the length to make a long heavy flood barrier to prevent flooding over long distances, which is highly effective in preventing flood damage. 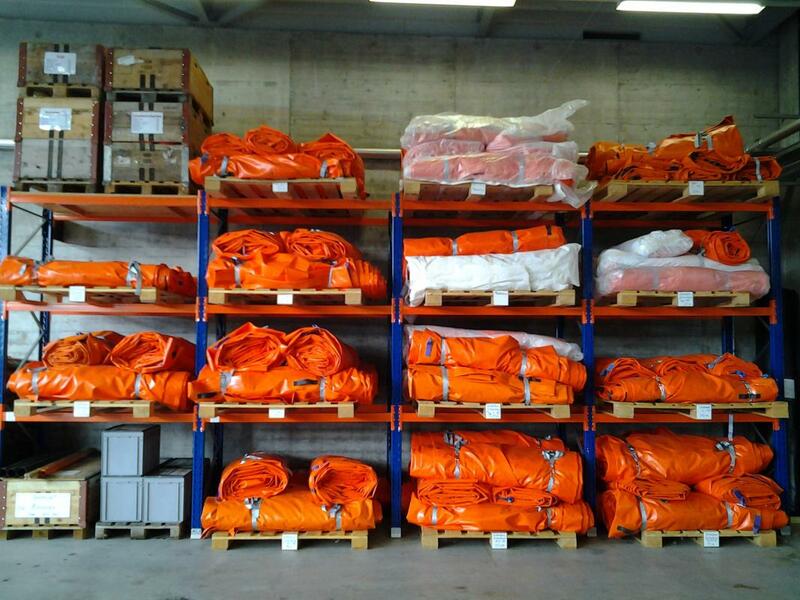 When the risk of flooding is gone, the tubes can be emptied, easily transported and stored until needed again. 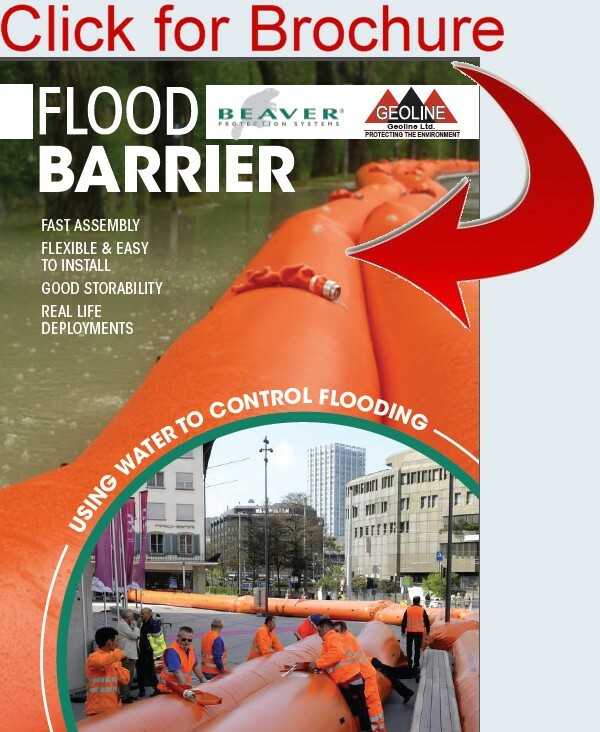 In recent years, Beaver flood barriers have, in over 100 cases, protected cities and their citizens, lands and buildings. 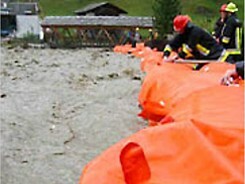 The Civil Defence appreciates the convenience Beaver flood barriers provide for Dam building in flood situations. 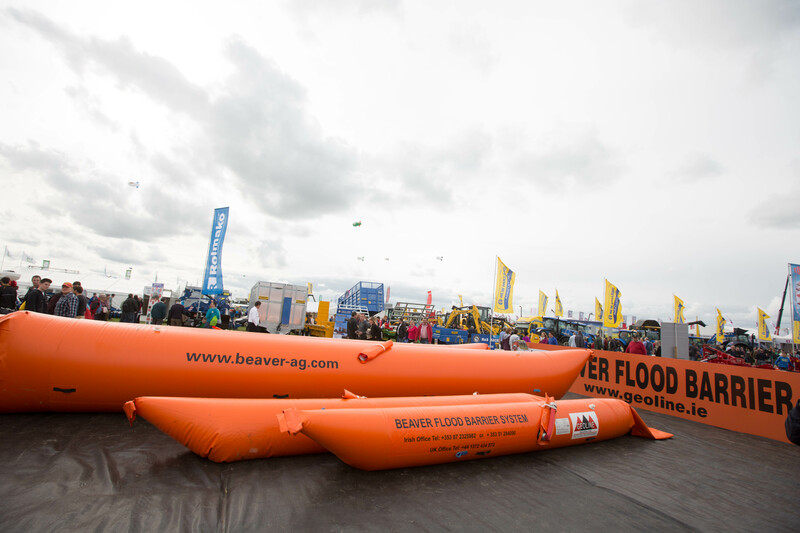 Over 25,000m of Beaver flood barriers supplied to prevent flood damage to roads and property. 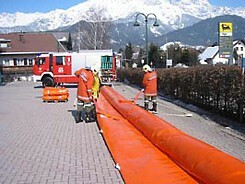 Ideal for Councils, Road, Land, Businesses & Home Flood Prevention, especially those at risk of repeat flooding! 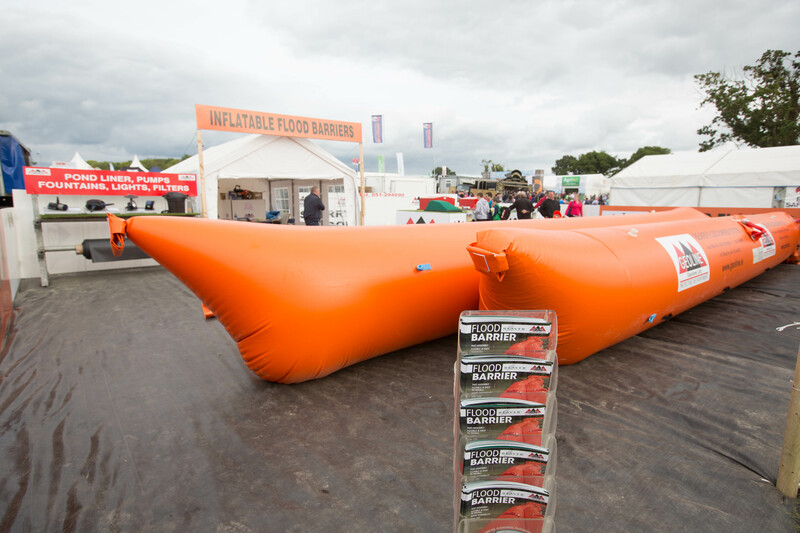 The elements of the flood barrier are initially inflated with air, easily moved into the desired position and joined together to create a barrier as long as you need. The tubes are subsequently filled with water from a nearby water source or a hydrant to create a strong, heavy barrier to rising flood water. The semi-liquid contents allow the flood barrier to adapt to the shape of the ground underneath, so that they can work effectively even over ground surfaces that are not completely flat. This makes the system very versatile and the barriers can be assembled quickly and easily in any situation and location. The individual elements are joined together by a patented link system. 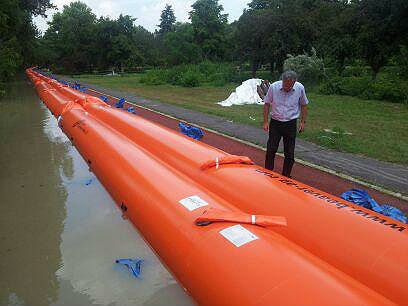 This makes it possible to build flood barriers of any length which conform to all types of terrain. 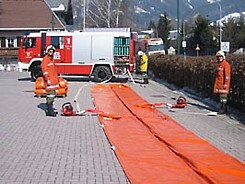 If water levels are very high, additional hold-back capacity can be obtained by adding a further single hose on top of the twin element. 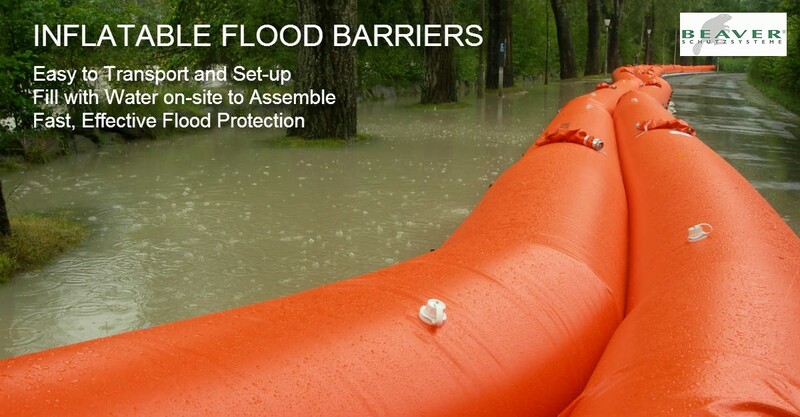 The Beaver Flood Protection System guarantees fast assembly of temporary flood barriers and their simple and flexible use over a wide range of terrains. 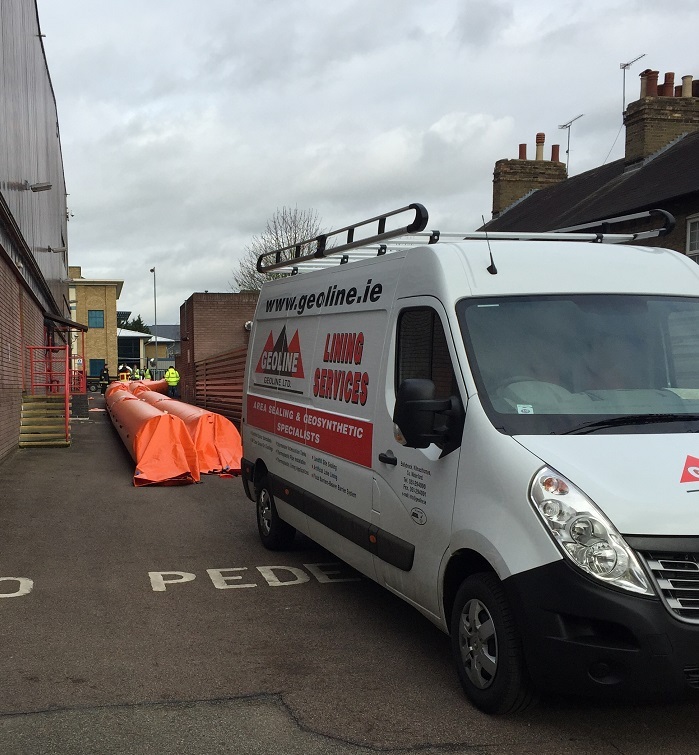 The rapid and easy disassembly and removal, together with good storage and additional assets of this reusable flood protection system are ideal for flooding in Ireland. To get a price, more information about flood protection solutions or just some advice please don't hesitate to contact us. You can call, email or simply complete our query form and we will contact you.